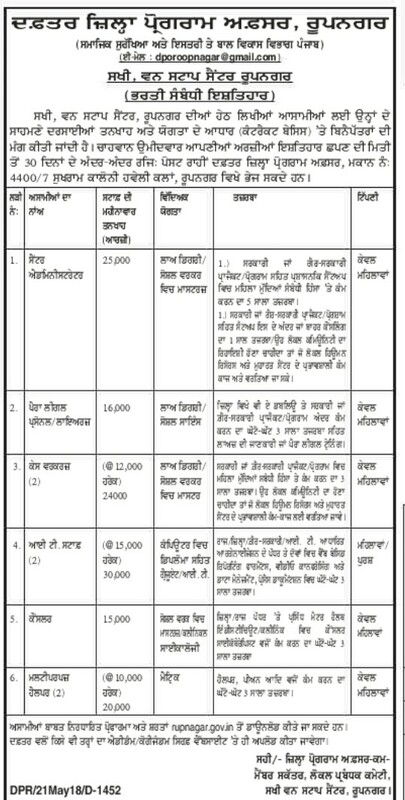 Sakhi One Stop Center Roopnagar invites applications for IT Staff, Helpers, Counselor & other posts. Eligible candidate should apply offline by send applications from 20 June 2018. Check eligibility criteria & job description below. Eligible candidates should have download & fill an application form in prescribed format & send their applications to the following address before last date 20.06.2018. Application form download form district website www.rupnagar.gov.in. Download official notification through given website. Ensure your eligibility before apply.